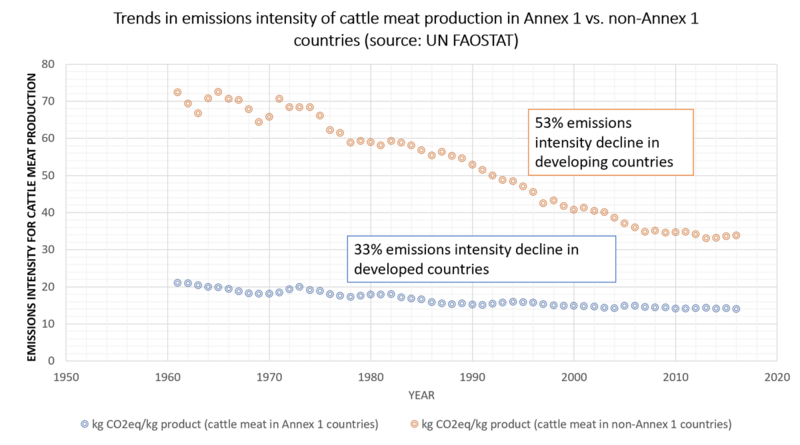 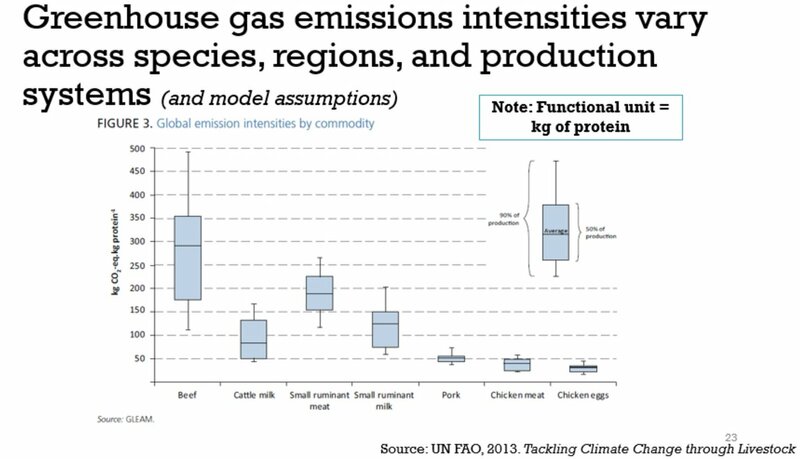 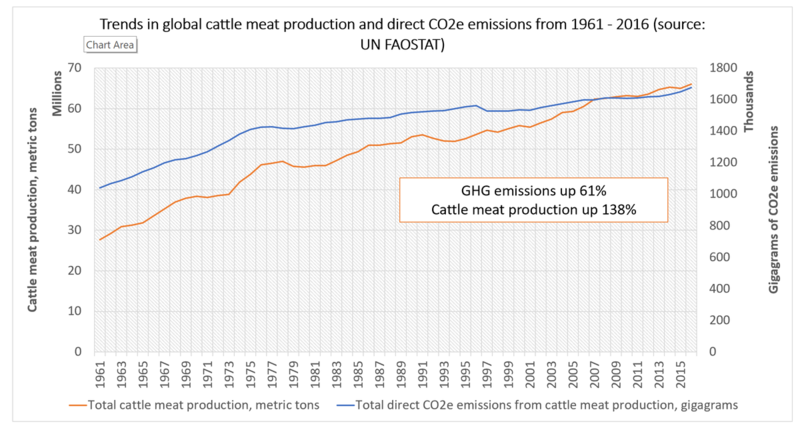 GHG emissions didn't grow as much as beef production because the emissions intensity of beef (kg CO2 equivalent emissions/kg beef) went down 32%. 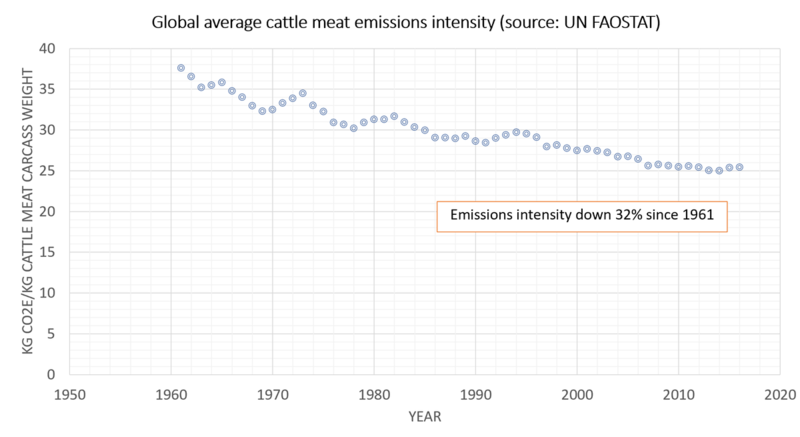 However, this global average emissions intensity masks considerable regional variation. 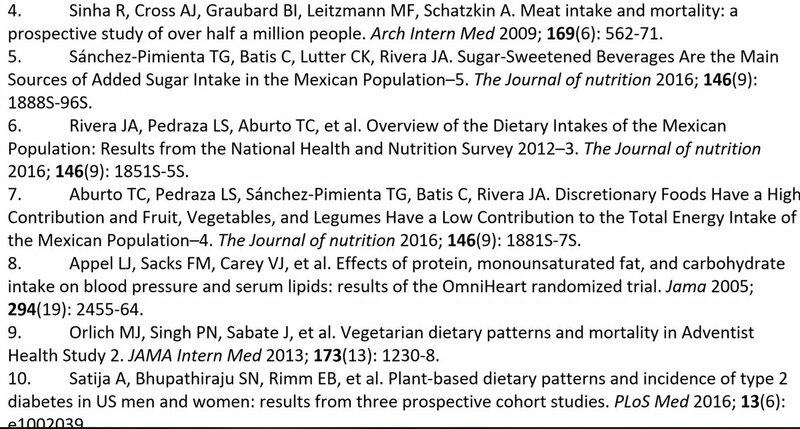 But, if you check references 4,5,9, and 10 in supplementary appendix, no way those refs are referring to this information. 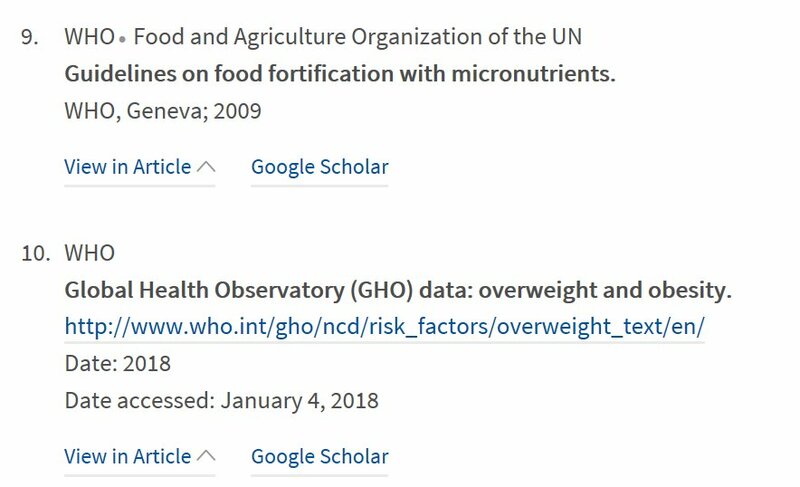 Maybe main manuscript references? 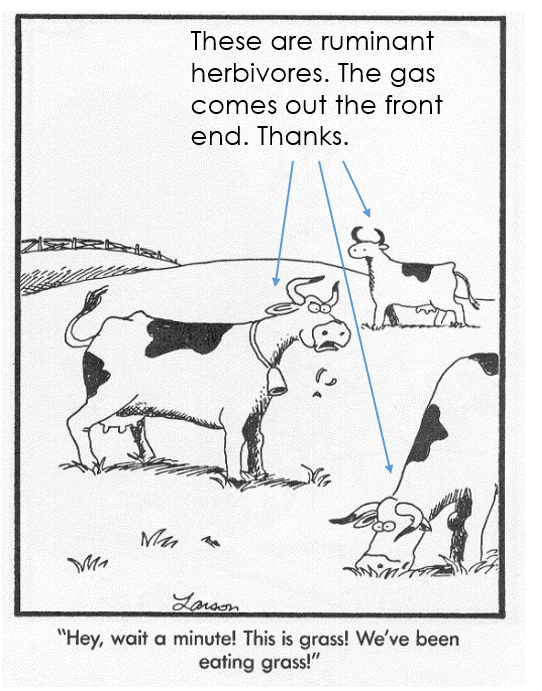 Seems unlikely except for the Tilman & Clark reference. 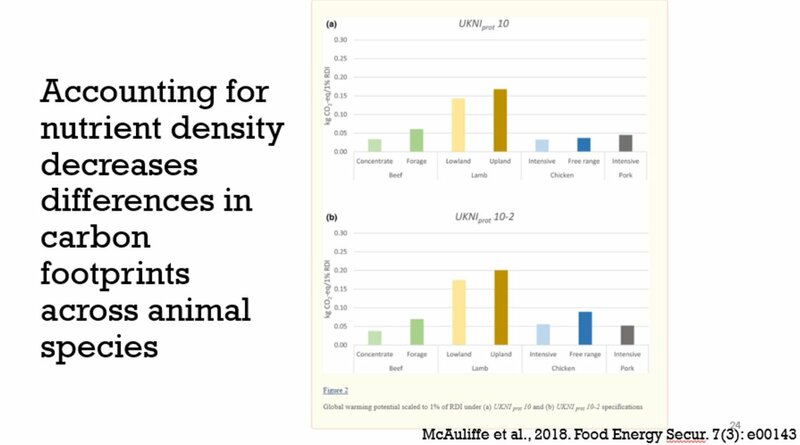 Here's a UK specific example using nutrient density as the functional unit where beef has a lower carbon footprint than chicken. 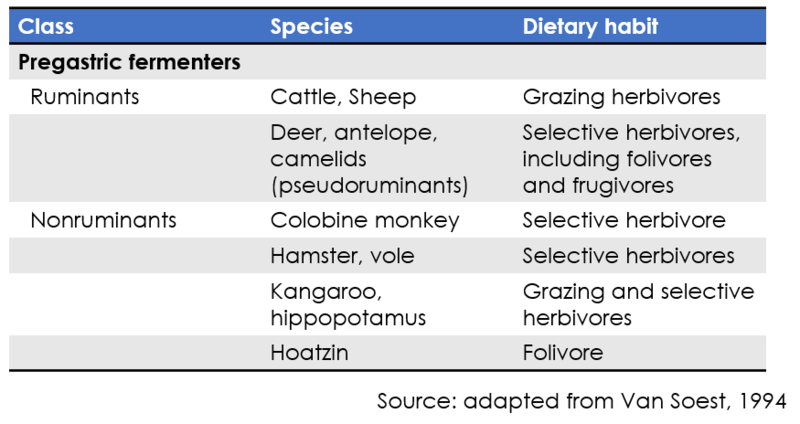 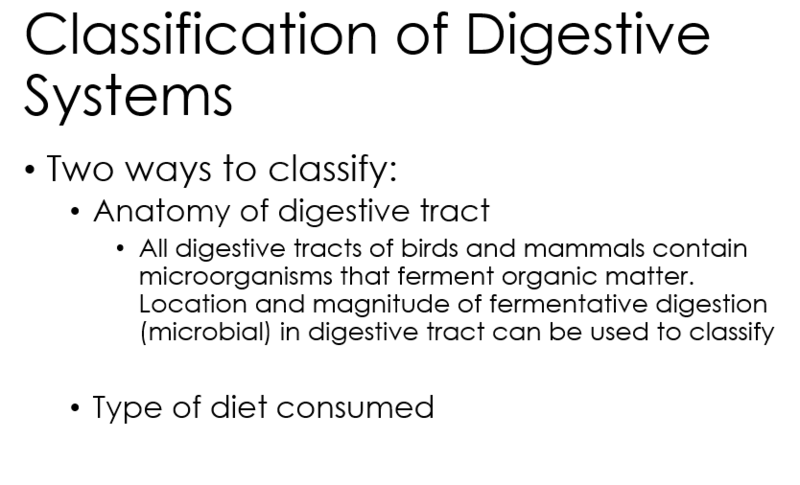 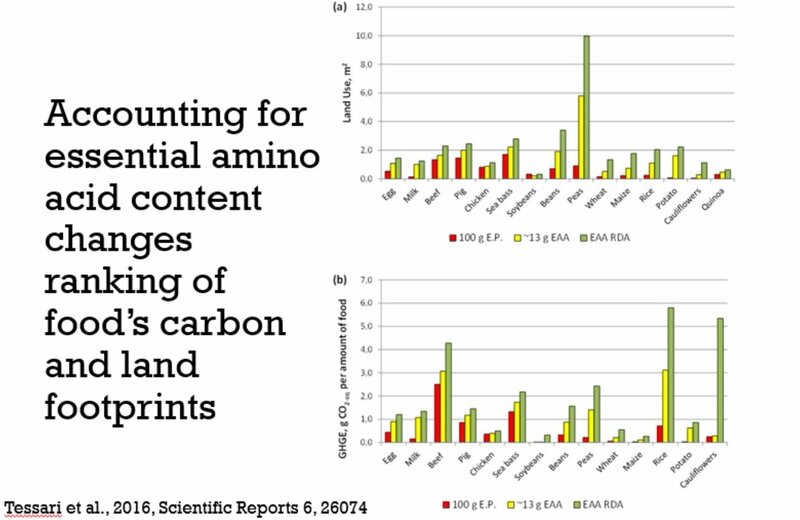 Here's a ranking using essential amino acids as the functional unit that shows beef with less land use than peas.